I am pretty new to the seafood train (pathetic for someone who grew up in Charleston, I know) and recently added shrimp to my list. I’m still acquiring the taste; it’s not like oysters which I now crave, but I made it at home this week which is definitely a big step. I found this easy pasta on Pinterest and it came out great! I like how easy and relatively inexpensive shrimp are. I think I start to see more of them in my dinner rotation. 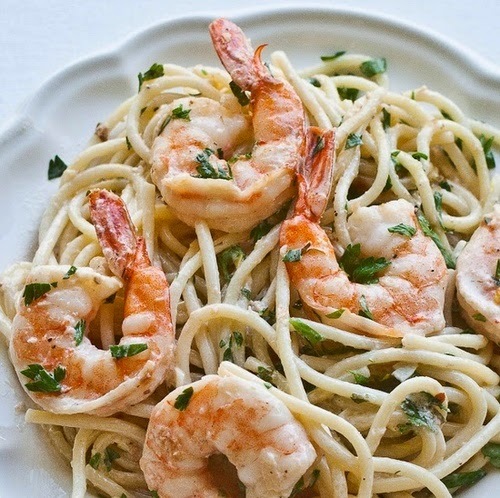 Any other good shrimp recipes I should try? Also, don’t forget Google Reader is disappearing on Monday, so don’t forget to switch over the Feedly or something similar!